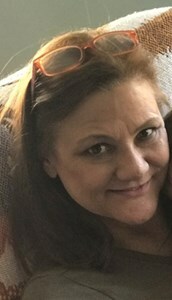 Robin Seaman (nee: Mattaline), age 51, of Saint Louis, Missouri passed away on Tuesday, April 2, 2019. She was born in Saint Louis, Missouri on March 21, 1968 to Robert Mattaline and the late Betty Mattaline (nee: Daniels). Robin enjoyed traveling, shopping, entertaining friends and family but most of all spending time with her grandchildren. Robin is survived by her Loving Children, Kyle (Brittany) Seaman and Amanda (Jonathan) Castloo, Grandchildren, Melanie Seaman-Denson-Castloo, Griffen Castloo and Hudson Castloo, Siblings, Daniel (Karen) Mattaline, Helen (Donald) Kaemmerer and Dino (Judy) Mattaline. She was truly loved and will be greatly missed by friends and all of her beloved nieces, nephews, and interim children. She was preceded in death by her Two Brothers, Gary and Anthony Mattaline and Mother, Betty Mattaline. Mass will be held April 13, 2019 at 11:00am at Immaculate Conception Dardenne Prairie Catholic Church, 7701 Highway N, Dardenne Prairie, MO 63368. Add your memories to the guest book of Robin Seaman. I worked with Robin at Harrah’s Casino for quite a few years. She was always up beat and laughing, and always had a smile on her face. And she loved her family ex specially her kids and grandkids. She will be deeply missed ?? Robin was one of the sweetest women i have come in contact with in my entire life. She was so caring and sympathetic to all no matter what she was going through. I met her at Panera she became another mother. She truly loved everyone. She will be deeplu missed. My prayers are with her family especially those grandbabies she adored. Robin and I went to IWA together. A life lost way too young. Heaven will be a better place with you in it but you will be deeply missed on earth by so many. Prayers for Robin, her family and all her friends. May God give you the strength to make it through the tough times ahead. With a heavy heart, I'm sending my deepest and heartfelt condolences to the family. R.I.P. my friend.